Meg's first time in the ocean! She is now hooked and wants to be a roxy surfer girl or a mermaid! We like to just call her Mer-Meg! only, she doesn't call it the ocean, she calls it the sea. I am home now...sob, sob! Good-bye... Aloha and hello reality! I am trying to organize my photos and my sleep deprived, red-eye flight brain. I will post more about my fabulous week in Maui...soon! More to come... I have missed you! For those of you that don't know me... I am somewhat of a neurotic picker. When I was little I was a total nail biter... I never had pretty nails...always hurting ones. I started getting my nails done when I was 15 years old. I would clean my sister's house and mop her floor so she would do my nails... I was a creative bargaining- bartering - fake nail addict. If there was any amount of lifting I would pry those little suckers off! My fingers throbbing and my cuticles thrashed... 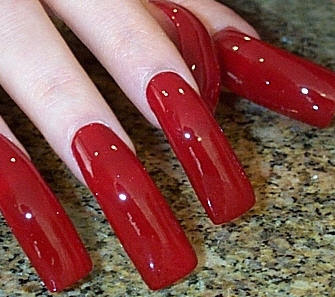 I would head to my nail girl for my fix. Last week on the way home from St. George, Caylor heard me cracking away at my hands and just rolled his eyes... he knew what was happening. I was taking off the nails. It was okay because I was going to see Chalyce the next day. A strange thing happened... I felt liberated! I cancelled my appointment, postponing it for a week. I was torn, because Chalyce is one of my most favorite people on Earth and she is cheap therapy... how am I going to see her? What will become of my life? I cancelled the next appointment and am kind of freed from acrylic. My hands have stopped throbbing somewhat and the cuticles are kind of healing. Maybe I don't need nails for medicinal purposes! I don't know how long this will last... but I have paws instead of claws. I can type, text, & play my izits game on my itouch. I can't pick real zits, scrub my hair or tickle . Meg thinks I am a goth because I wear black every day and have black nails. I must be having a mid-life crisis! 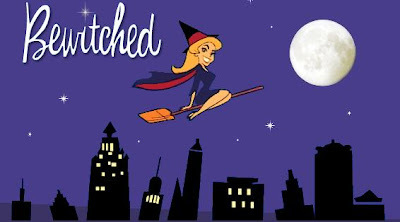 As a kid growing up in the 70's I loved watching the re-runs of BEWITCHED! Samantha and Darrin were the best! I wanted to be Tabitha or at least be named Tabitha! 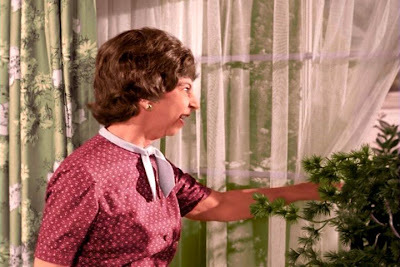 Endora and all the rest of the kooky witches and warlocks made my summer days. I tend to talk in allusions... brief references to known things. When I taught school this was a problem, because the kids didn't know the "things" I was referencing... they would look at me like I had 14 heads and then I would have to explain myself. I can see my neighbor Margie's house from my front window so I can keep tabs on her. I would say things like... "I was being Mrs. Kravitz and waited for you to be home before I called"... "or... I saw Brooke and Megan doing blah blah blah"
Not really checking up on them, but as I sit at my computer I look right at their house. I have earned the nickname of Gladys. Even a friend that I met through Margie and her girls calls me Gladys.- in fact, she called me Glitterific Gladys. It kind of cracks me up. I am headed on a mini vacay with my main man! 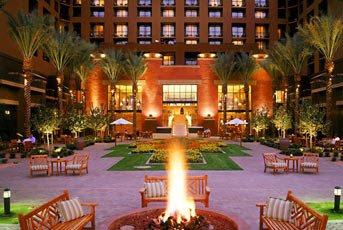 We are headed to Arizona for his business conference! My kids are not out of school so Viv has so graciously come to tend! so... I think a good time will be had by all! 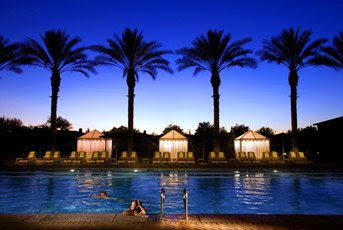 The Arizona sun, no kids, an adult pool, a little bit of shopping= HEAVEN! I know I am not a huge daily blogger...but I will be outta here this week!